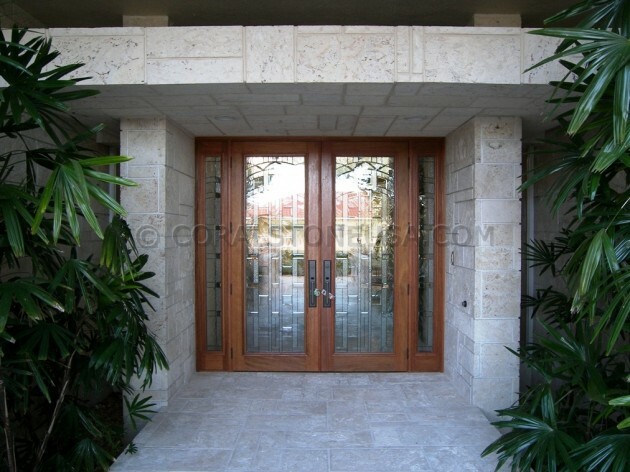 Coral stone is a very popular choice for homes in Florida and throughout the Caribbean. This is because coral stone tiles are well suited to the warm, wet environment in this region. One of the unique features of coral stone tile is that it does not absorb heat, which means it is not hot to the touch, even in direct sunlight. These tiles are also skid resistant, even when wet, which makes them a safe choice for pools, patios and entryways. Choosing coral stone tiles is not just about safety. These tiles are also very attractive. When mined, coral is often a neutral hue. This makes it versatile, fitting in with a range of designs. While basic tiles can be used on driveways, many people like to choose coral stone tiles with intricate carvings to use as wall veneers in homes and entrances. Every tile has natural variegation, which gives added depth to any interior or exterior space. Because it is so popular in Florida, coral stone tiles are available in a variety of sizes and styles. This makes it easy to customize any space, from a pool deck to a driveway. No matter what style of coral is used, the results are sure to impress for years to come.